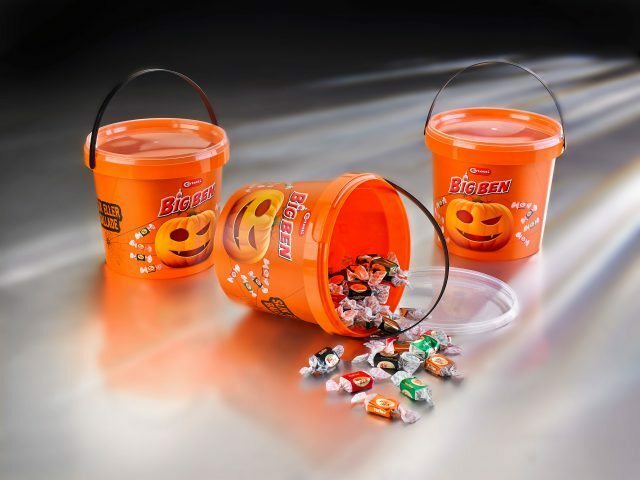 Danish candy and confectionary producer Carletti has chosen RPC Superfos’ UniPak container for a Halloween trick-or-treat bucket. Decorated in vivid orange, the 2.3L injection molded polypropylene bucket has a black handle and a transparent lid that allows shoppers to see the ‘Big Ben’ toffees inside. It can be used for further storage of sweets and toys. “The bucket looks cute, and clearly displays our company name and one of our most important trademark,” says explains Bonna Clausen, Product Manager at Carletti.